When do you start your holiday shopping, and how carefully do you plan? Personally, I don’t holiday shop until after Black Friday, but I know many people like to start earlier. And for people who like to shop — I don’t — it’s easy to get caught up in a whirlwind of holiday cheer and spend a lot more money than you intended. But the whirlwind of bills that may come due in January should be enough to convince you to create — and stick to — a holiday spending plan. Impulse buying can quickly derail your finances. Before you begin your holiday shopping, make a list of everyone you buy gifts for. Then set a separate spending limit for each person based on the total amount you can reasonably afford to spend. When it comes to buying for kids in the family, I like to check with them and their parents so I can choose something in my price range that they want and aren’t already going to get. Once you’ve reached the spending limit you’ve set, stop buying. Bringing multiple credit cards with you to the mall may tempt you to overspend. It’s probably best to leave them at home. If you want charge purchases to get rewards or discounts, keep track of what you’ve charged by writing down the amount of each purchase. Make sure you’ll be able to pay off the entire balance when your statement arrives. 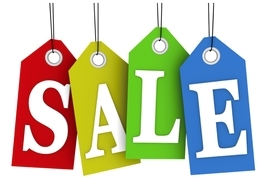 Newspaper flyers can help you compare your gift list with what’s on sale at local stores. Always check out prices of big-ticket items at several places before you buy. An online search can save time, gas, and money, even if you eventually buy the item in the store. If you do buy online, look for perks such as free shipping and gift wrapping. If you’re mailing gifts, choose items that are small, lightweight, and easy to pack. Remember to send packages early to avoid having to pay extra for rush delivery. Where else can you buy someone hours of entertainment for less than $10? For the romance readers on your list or to treat yourself, here are three 99¢ deals that are easy to fit in anyone’s holiday shopping budget. 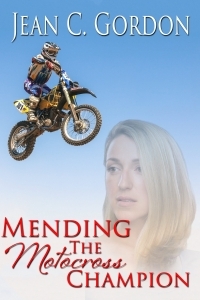 A Team Macachek Novella: Meet the strong women and fearless men of the motocross circuit. Buy: Kindle, Nook, iBooks, Kobo. Also available in paperback on Amazon and Barnes & Noble online. And if you haven’t bought your copy of Sweet Romance Christmas 3, scroll up and click on the cover picture in the right-hand column. For Amazon bestselling sweet and inspirational author Jean C. Gordon, writing is a natural extension of her love of reading. From that day in first grade when she realized t-h-e was the word the, she’s been reading everything she can put her hands on. Jean and her college-sweetheart husband share a 175-year-old farmhouse in Upstate New York—where she sets her books—with their daughter and her family. Their son lives nearby. Connect with Jean on Facebook, as @JeanCGordon on Twitter, or on JeanCGordon.com, where you can sign up for her newsletter and receive a free eBook. As the holidays approach, these are great tips, Jean. I'm an online shopper, and usually find great deals. Plus, I can take my time. I shop almost exclusively online any more. And I'm nearly done. Don't have many to shop for. I do gift cards for out of state. Good post, Jean! Great tips! I don't do much shopping because hubby and I don't buy for each other, and my kids rarely give me any suggestions. Sometimes we just give to a charity in their names. The big gifts are for the granddaughters and even then, their parents often nix too many toys because they already have a too much stuff.